Need a fire pump today? We have it and we rent it out. Learn more. Did you know that automatic fire sprinklers system in existing high-rise condominium are now required by law? -Check what is required to have by December 2019. Did you know that Automatic Fire Sprinklers System are now required by law in existing high-rise condominium? Check what is required to have by December 2019. On June 26, 2017 Rick Scott composed a memo to the Secretary of State that included the following statement: “while I am particularly sensitive to regulations that increase the cost of living, the recent London high-rise fire, which tragically took at least 79 lives, illustrates the importance of life safety protections”. All work required needs to be completed by December 31, 2019. 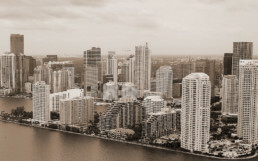 The following podcast summarizes the requirements that all Florida high-rise building’s need to comply with before December 31. 2019. CLICK HERE TO LISTEN TO THE PODCAST: "December 31, 2019 is fast approaching! Do you know why it is significant to your high-rise condominium?"